Ultraviolet (UV) light constitutes about 5% of terrestrial sunlight, with about 80% of the most harmful effects being attributed to the shorter wavelength UVB and the remaining 20% to UVA.1 Excessive exposure of the skin to UV light is linked with premature skin aging (UVA with wavelengths between 315 nm and 400 nm) as well as sun burn and increased risk of skin cancer (UVB, between 280 nm and 315 nm). UV related skin damage is a widespread issue with over 130,000 new cases of skin cancer diagnosed each year in the United Kingdom alone, in which UV radiation is attributed as the main preventable cause.2 As such, formulating efficacious and protective sunscreen products is vital for both the consumer and pharmaceutical markets. The use of UV illumination has been reported for imaging skin previously. For instance, UVA fluorescence is used by the Courage and Khazaka Visioscan for assessing dry skin topography and sunscreen persistence.20,21 However, with the Visioscan, the incoming UVA light interacts with the skin to be re-emitted as visible light, i.e. as fluorescence, so it is actually visible light rather than UVA photography. Likewise, the Canfield Visia system also uses UVA fluorescence from the skin during porphyrin imaging, where again visible light is captured after UVA illumination.22 Unfortunately, there is also a lack of clarity in some papers around how imaging systems work, which has led to confusion about whether systems are actually imaging reflectance or fluorescence.23 Film based UV reflectance photography systems were developed previously, but their use seems to have been primarily aimed at pigmentation assessment.14,17,18,24 While UV photography has been adopted for both artistic visualisation of skin pigmentation and sun damage by photographers such as Cara Phillips,25 and for visualisation of sunscreen application onto skin to show consumers areas that they have missed,26,27 there has been no systematic development in the field of digital UV reflectance imaging systems for quantification of sunscreen application and behaviour. This is most likely due to the lack of readily available sensitive camera systems in the UV range combined with the need for specialised lenses, along with the issue of shine when using flash. Recent advances in the low light sensitivity of digital imaging sensors has now enabled digital UV imaging to become a possibility with more commercially available equipment. One key issue with using UV reflectance photography has been the shine which occurs when strong directional light is reflected from topically applied creams and even from the skin itself. In order to minimize shine in photographs, cross polarization has been used, where the light source and camera lenses have polarizers mounted on them at 90 degrees to each other, thereby eliminating specular shine, which appears as white bands when imaging glossy surfaces. While this process is well known for visible light photography, it has only recently been reported for digital UVA imaging of sunscreens for topical formulations.19 Through the use of cross polarisation of the UV light it was possible to image the morphology of the sunscreen film after spreading, and visualise the difference between products with good and bad spreadability (see Figure 1). Figure 1: Example UV photographs of a) non-streaky and b) streaky sunscreen products. Figure 1 shows UV reflectance images of the two sunscreen films and each image is approximately 5 cm x 5 cm. The image appears darker where the film reflects less UV light. It can be see that the poor spreading film has obvious streaks in it, with regions where there is little UV being absorbed (the lighter grey lines). It is known that there is a strong correlation between effective in vivo SPF and thickness of the applied sunscreen film.6-8,28-30 It therefore follows that thinner areas of an applied sunscreen film will have a greater propensity towards developing erythema upon exposure to UV light, as a result lowering the effective SPF capability of the product. The spreadability of a product and resultant film homogeneity would therefore impact effective SPF—products which are easy to spread would create a more even film resulting in a higher SPF for a given sunscreen package.31 A combination of data from the UV image—amount of UV absorption and film morphology—were compared with in vivo SPF data (Figure 2), and this metric proved to be a more accurate model for measured SPF than standard in vitro or in silico testing, demonstrating the importance of both attributes. Figure 2: Comparison of in vivo SPF vs. UVA camera combined score of image greyness multiplied by streakiness rating. Figure 3: Comparison of a) non-polarised and b) cross polarised images of an SPF sunscreen film applied to skin. UV imaging itself comes with an array of challenges. Lack of sensitivity in the camera sensor, blocking of UV by standard camera lenses, suitability of the light source, choice of filter, possible contamination of the image by IR,11,34 and when dealing with sunscreens the fact that the product itself can absorb up to 99% of the incoming light, to name but a few. The work discussed here has concentrated on imaging in the UVA region. Imaging in the UVB region is even more complicated as sensors are less sensitive and the choice of lenses, filter, and light sources, becomes even more critical. However recent advances in low light camera sensor capability have now enabled the development of imaging systems capable of performing cross polarised UV photography of sunscreen films, both in vitro and in vivo, with the aim of this work being to drive development, and consumer understanding of better sunscreens and reducing the incidence rates of UV related skin damage and melanomas. 1. B.L. Diffey, Sources and measurement of ultraviolet radiation, Methods, 28, 4-13 (2002). 2. http://www.cancerresearchuk.org/health-professional/cancer-statistics/statistics-by-cancer-type/skin-cancer#heading-Zero, accessed on April 24, 2017. 3. 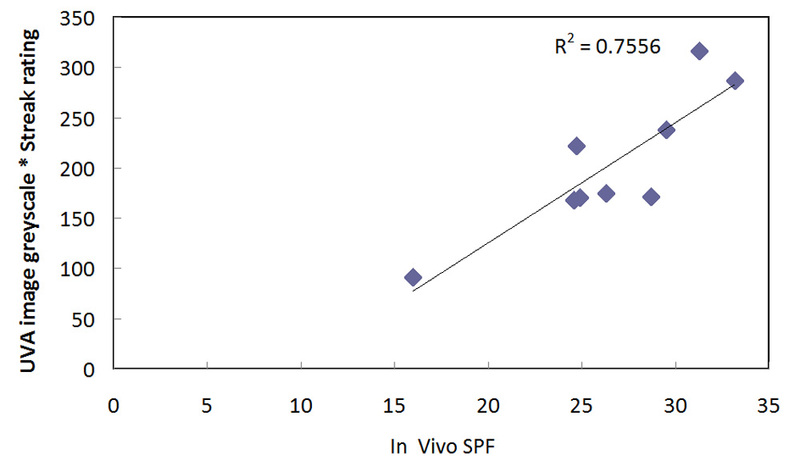 J.P. Santos Caetano et al., SPF and UVA-PF sunscreens evaluation: are there good correlations among results obtained in vivo, in vitro, and in a theoretical sunscreen simulator? A real life exercise, Int. J. Cosmet. Sci., 38, 576-580 (2016). 4. E. Ruvolo, N. Kollias, and C. Cole, New noninvasive approach assessing in vivo sun protection factor (SPF) using diffuse reflectance spectroscopy (DRS) and in vitro transmission, Photodermatol. Photoimmunol. Photomed., 30, 202-211 (2014). 5. T. Haque, J.M. Crowther, M.E. Lane, and D.J. Moore, Chemical ultraviolet absorbers topically applied in a skin barrier mimetic formulation remain in the outer stratum corneum of porcine skin, Int. J. Pharm., 510, 250-254 (2016). 6. H.C. Wulf, I. Stender, and J. Lock-Andersen, Sunscreen used at the beach does not protect against erythema: a new definition of the SPF is proposed, Photodermatol. Photoimmunol. Photomed., 13, 129–132 (1997). 7. R.M. Azurdia, J.A. Pagliaro, B.L. Diffey, and L.E. Rhodes, Sunscreen application by photosensitive patients is inadequate for protection, Br. J. Dermatol., 140, 255–258, (1999). 8. R. Stokes and B. Diffey, How well are sunscreen users protected? Photdermatol. Photoimmunol. Photomed., 13, 186-188 (1997). 9. 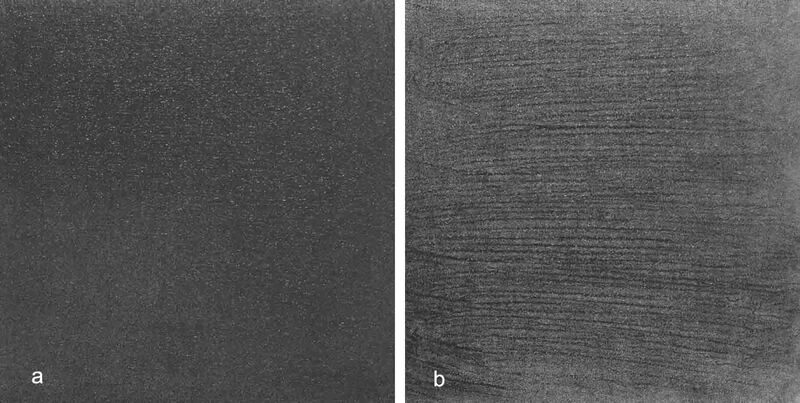 N. Marin and J. Buszka, Alternative Light Source Imaging: Forensic Photography Techniques, Series Editor L.S. Miller, Routledge: Abingdon, UK, 2013. 10. R. Leintz and J.W. Bond, Can the RUVIS imaging system visualize fingerprint corrosion on brass cartridge casings postfiring? J. Forensic Sci., 58, 772-775 (2013). 11. J.E. Garcia, P.A. Wilksch, G. Spring, P. Philp, and A. Dyer, Characterization of digital cameras for reflected ultraviolet photography; implications for qualitative and quantitative image analysis during forensic investigation, J. Forensic Sci., 59, 117-122 (2014). 12. L. Boyers, C. Karimkhani, R. Gamble, and R.P. Dellavalle, Novel and promising sun safety interventions: UV photography and shade structure, OA Dermatology, 2(1), 6 (2014). 13. J.L. Dykstra, Avoiding reactance: the utility of ultraviolet photography, persuasion, and parental protectiveness in improving the effectiveness of a UV exposure intervention, Ph.D. thesis, Iowa State University, 2007. 14. L.C. Daniel, C.J. Heckman, J.D. Kloss, and S.L. Manne, Comparing alternative methods of measuring skin color and damage, Cancer Causes Control, 20, 313-321 (2009). 15. J. Niamtu, Digitally processed ultraviolet images: A convenient, affordable, reproducible means of illustrating ultraviolet clinical examination, Dermatol. Surg., 27, 1039-1042 (2001). 16. T. Jones et al., Impact of ultraviolet photography on sun safety practices of snow sport industry conference attendees, The Open Dermatology Journal, 8, 8-11 (2014). 17. http://medicalphotography.com.au/Article_01/11.html, accessed on April 23, 2017. 18. M. Welch, P. Chang, and M.F. Taylor, Photoaging photography: Mothers’ attitudes toward adopting skin-protective measures pre- and post-viewing photoaged images of their and their child’s facial sun damage, SAGE Open, Oct-Dec, 1-11 (2016). 19. J.M. Crowther, Understanding sunscreen SPF performance using cross-polarized UVA reflectance photography, Int. J. Cosmet. Sci., 40, 127-133 (2018). 20. G.E. Piérard, D. Khazaka, and G. Khazaka, Sunscreen remanence on the skin: a noninvasive real time in vivo spectral analysis assessing the quenching of specular ultraviolet A light reflectance, J. Cos. Dermatol., 15, 3-9 (2016). 21. Y. Chao et al., Effects of sunscreen on human skin’s ultraviolet radiation tolerance, J. Cos. Dermatol., 9, 297-301 (2010). 22. R.G. Gamble et al., Sun damage in ultraviolet photographs correlates with phenotypic melanoma risk factors in 12-year-old children, J. Am. Acad. Dermatol., 67, 587-597 (2012). 23. C. Karimkhani, L.S. Huff, and R.P. Dellaville, Measuring sun damage at the grocery store, JAMA Dermatology, 150, 589-590 (2014). 24. S. Arai, Analysis of pigmentation of human skin (UV-light images). In: Bioengineering of the Skin: Skin Surface Imaging and Analysis, Eds. K.-P. Wilhelm, P. Elsner, E. Berardesca, and H.I. Maibach), pp. 85-94, CRC Press: Boca Raton, FL (1997). 25. http://www.cara-phillips.com/ultraviolet-beauties/, accessed on April 23, 2017. 26. https://www.nivea.co.uk/new-from-nivea/uv-sun-camera, accessed on April 23, 2017. 27. http://ultravioletcameras.com/, accessed on April 23, 2017. 28. D. Lutz and N. Cariou, Accurate, fast and quite easy way of sunscreen testing, Focus on Sun Care, HPC Today, 3, 25-29 (2011). 29. C. Stenbery and O. Larkö, Sunscreen application and its importance for the Sun Protection Factor, Arch. Dermatol., 121, 1400-1402 (1985). 30. L. Ferrero, M. Pissavini, and O. Doucet, How a calculated model of sunscreen film geometry can explain in vitro and in vivo SPF variation, Photochem. Photobiol. Sci., 9, 540-551 (2010). 31. M. Pissavini et al., Predicting the efficacy of sunscreens in vivo veritas, Int. J. Cosmet. Sci., 34, 44-48 (2012). 32. Revised guidelines for the use of flash guns emitting ultraviolet light for the photography of evidence – July 2001. PSDB, Crime Scene Investigation Sector, Sandridge, St Albans, AL4 9HQ. Document provided by ACS. 33. J.M. Crowther, Cross polarised UVA photography for the imaging of sunscreens, ISBS Conference, San Diego, CA, 2018. 34. C. Tetley and S. Young, Digital infrared and ultraviolet photography using advanced camera services modified equipment, J. Vis. Comm. Med., 32, 40-42 (2009). Copyright 2016, The Cosmetic Chemist, LLC. All Rights Reserved.